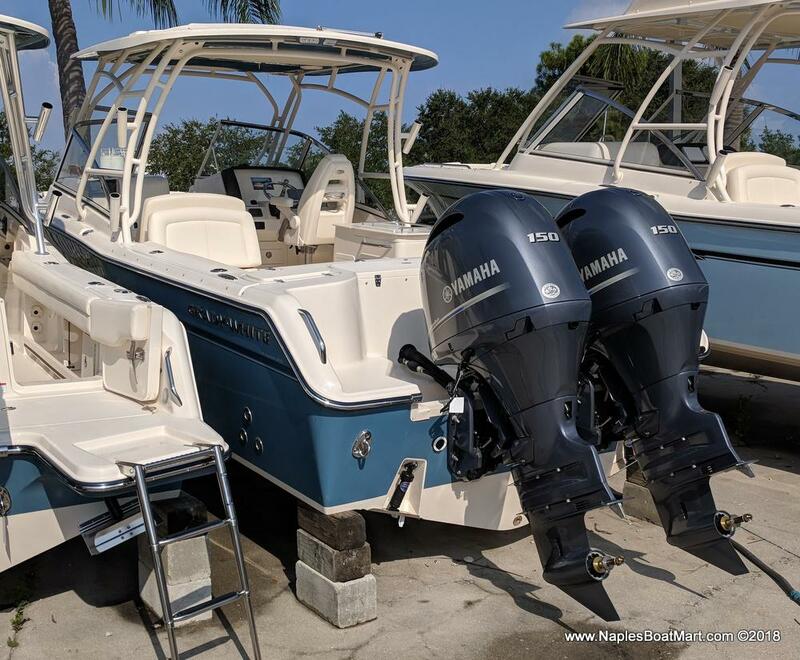 The ultimate TRAILERABLE family day boat! 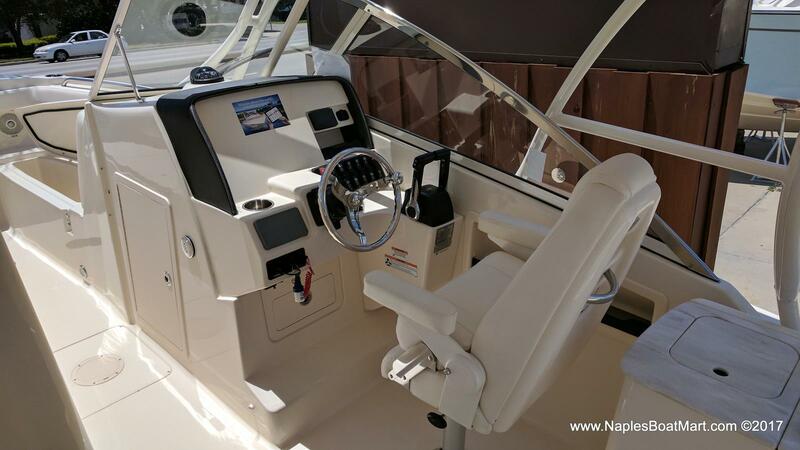 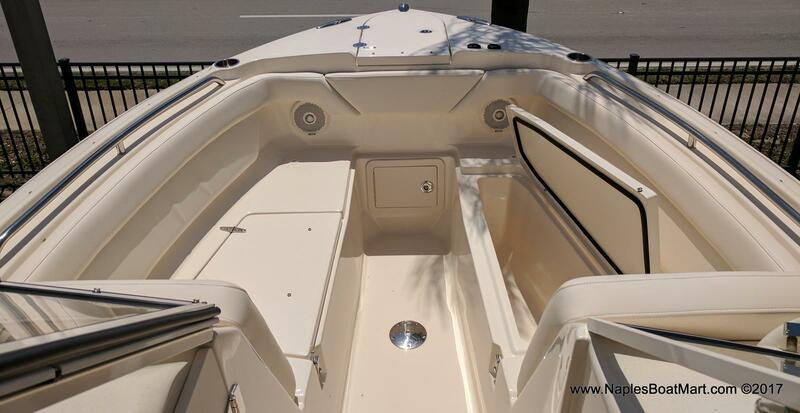 Grady-White’s Freedom 275 packs lots of features and versatility into one boat. 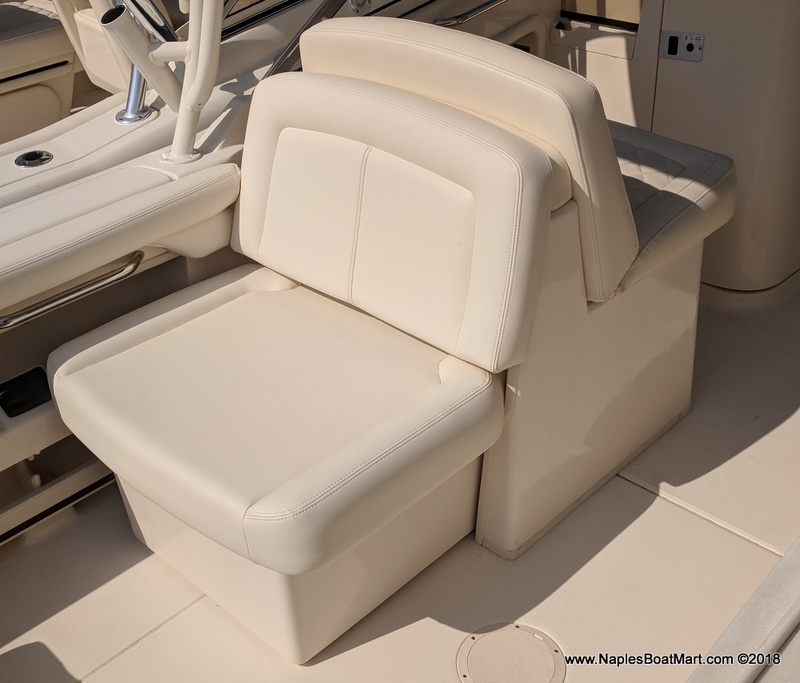 If your agenda includes entertaining, you will comfortably carry 7 adults with plush seats and a soft, dry ride. 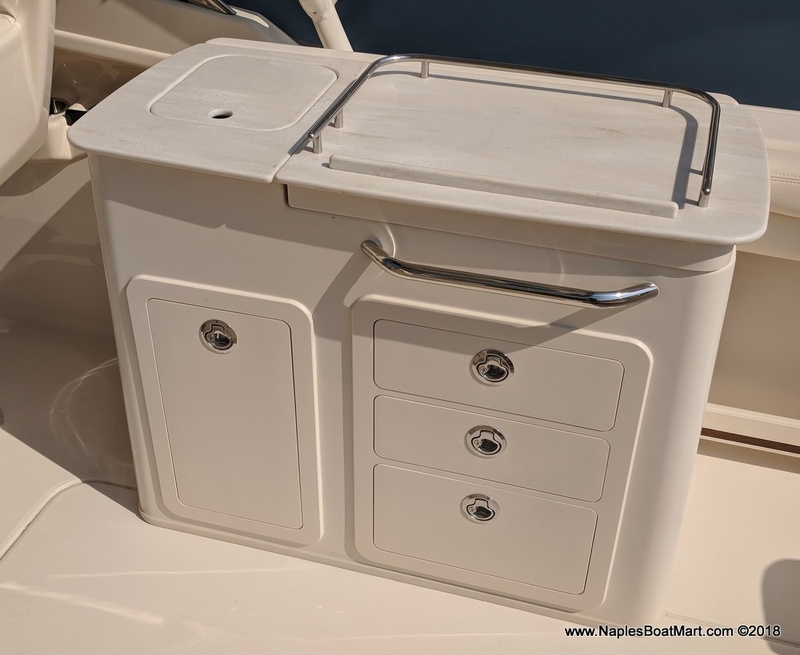 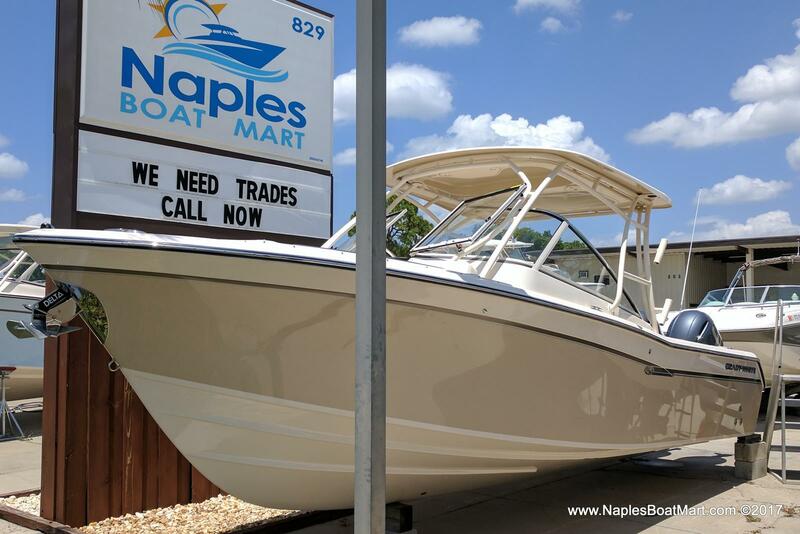 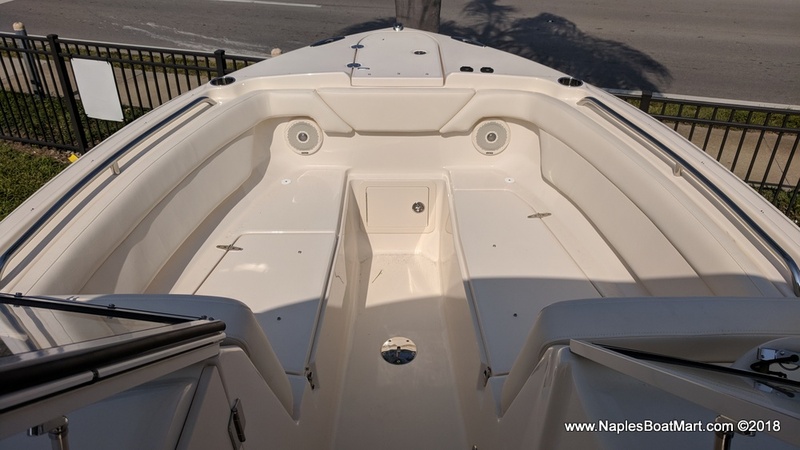 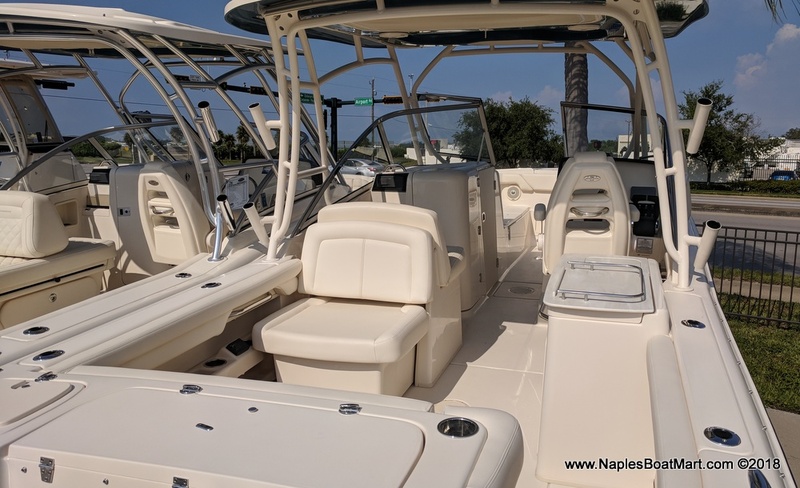 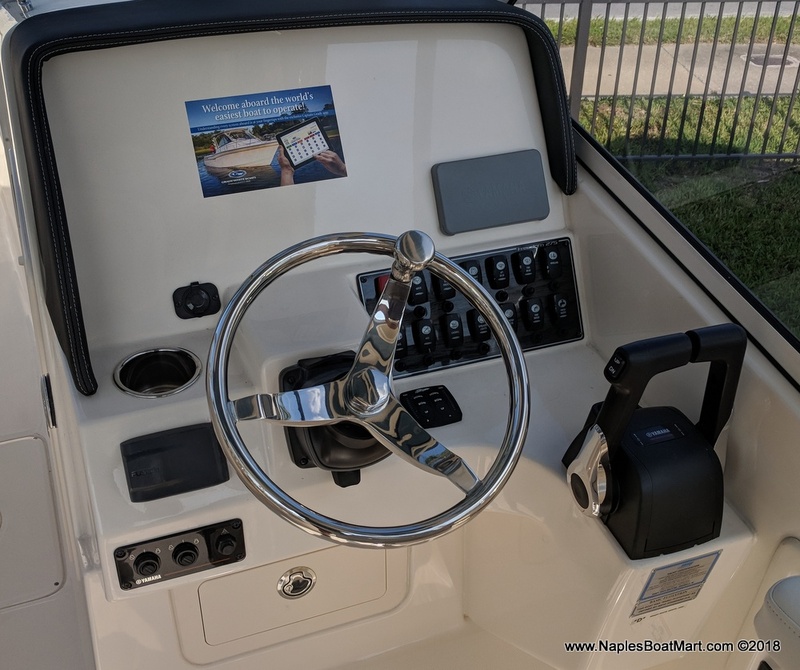 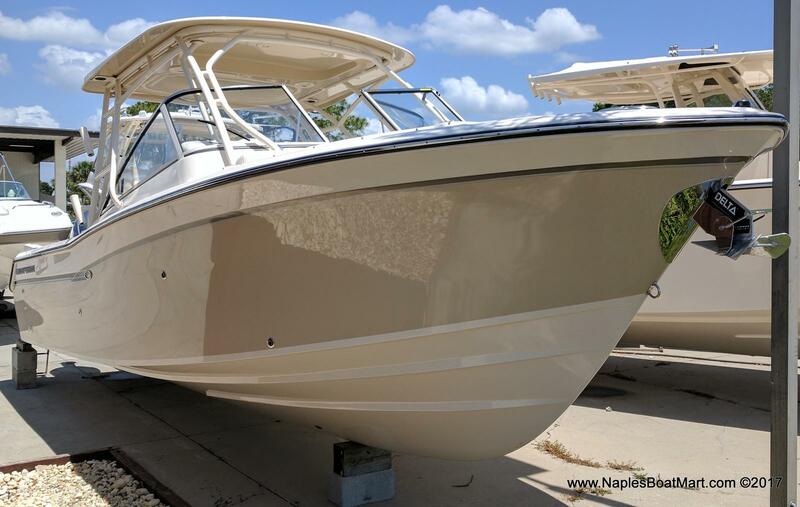 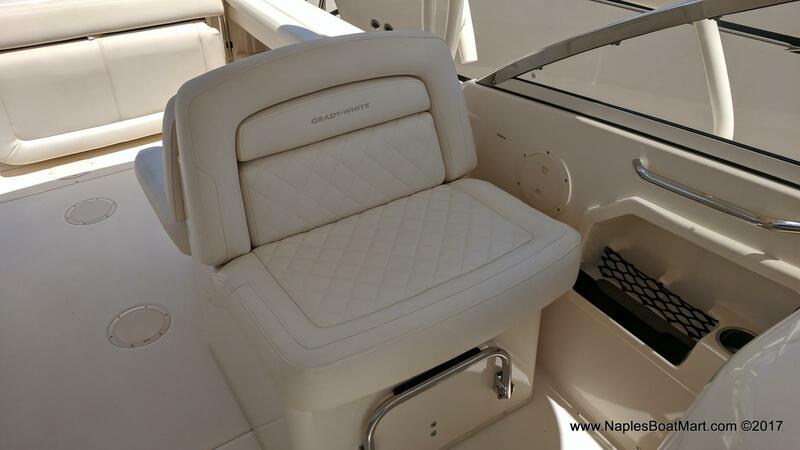 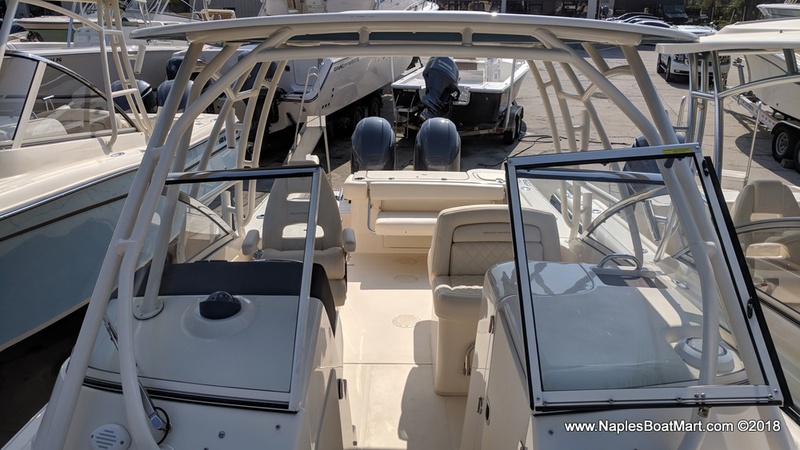 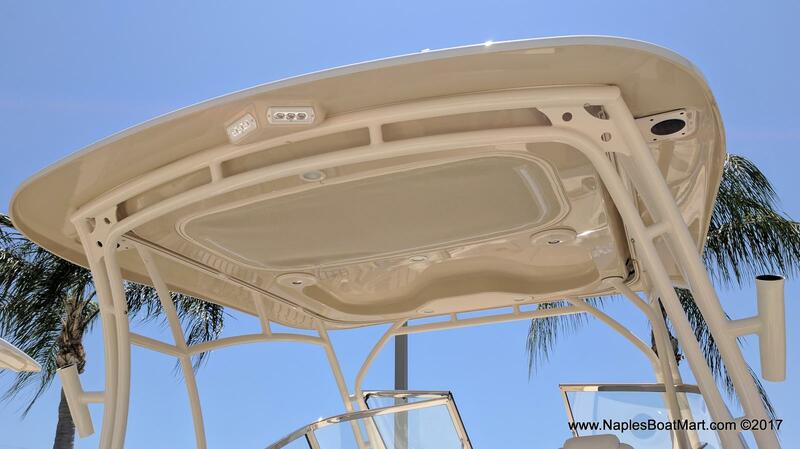 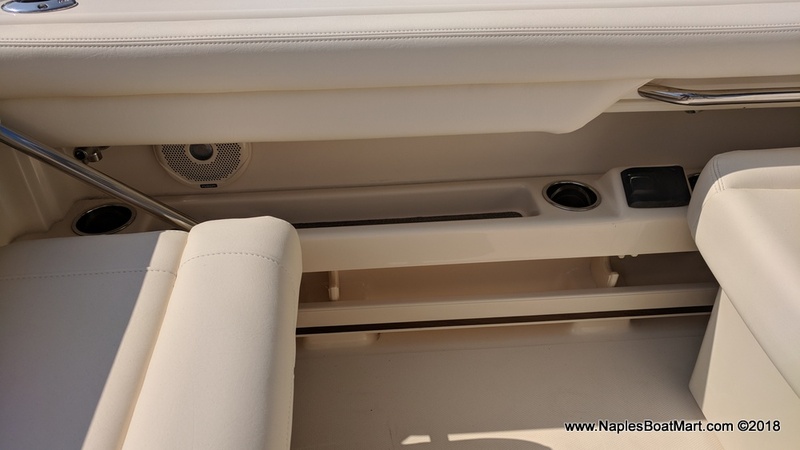 A large fiberglass hardtop offers shade and protection from the Florida sun while providing storage for lifejackets and fishing rods. 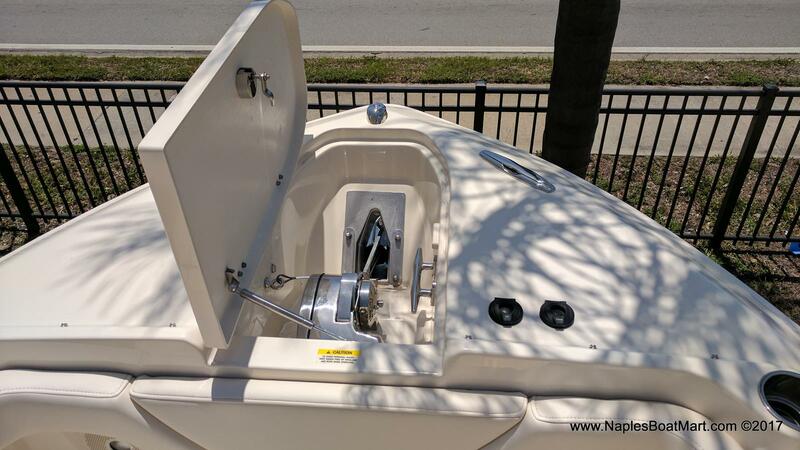 The enclosed head offers privacy and convenience, and is big enough to be used by an adult. 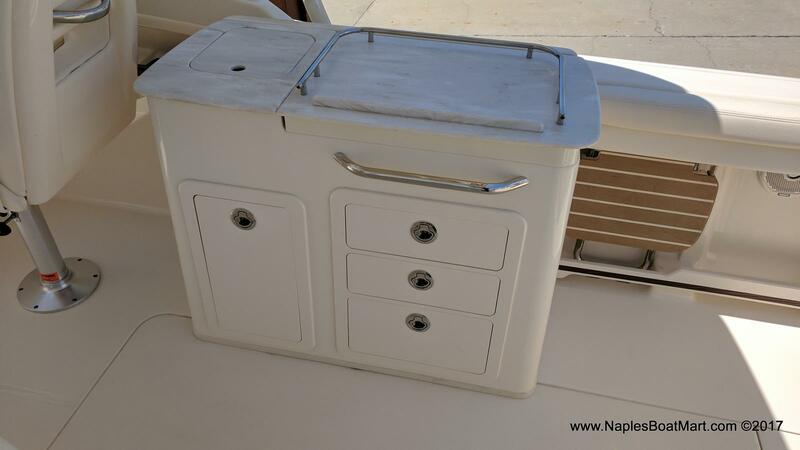 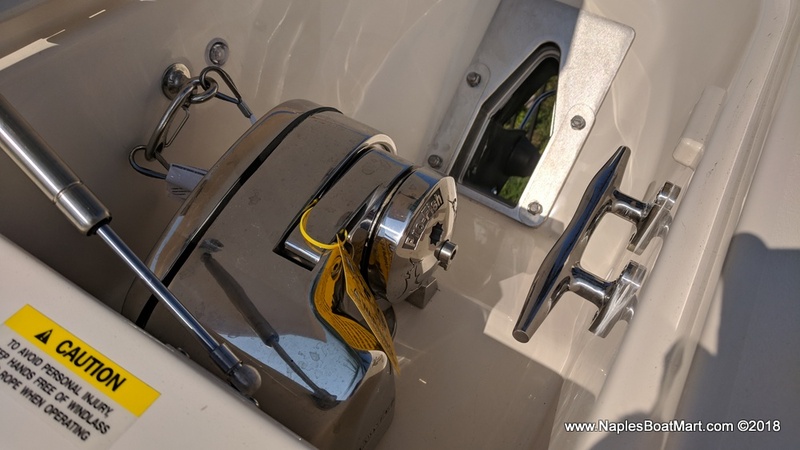 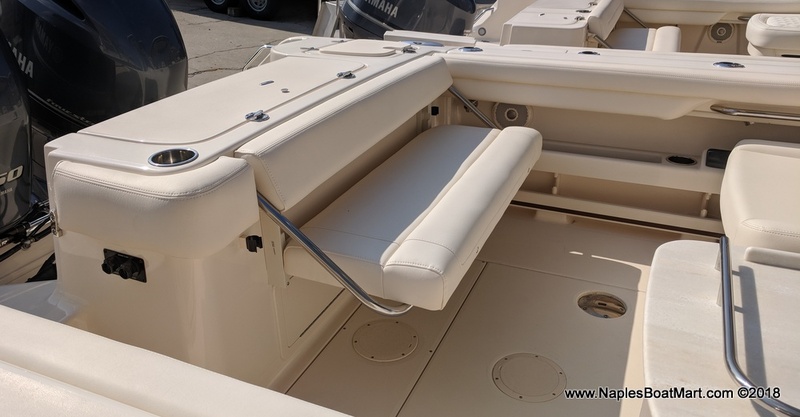 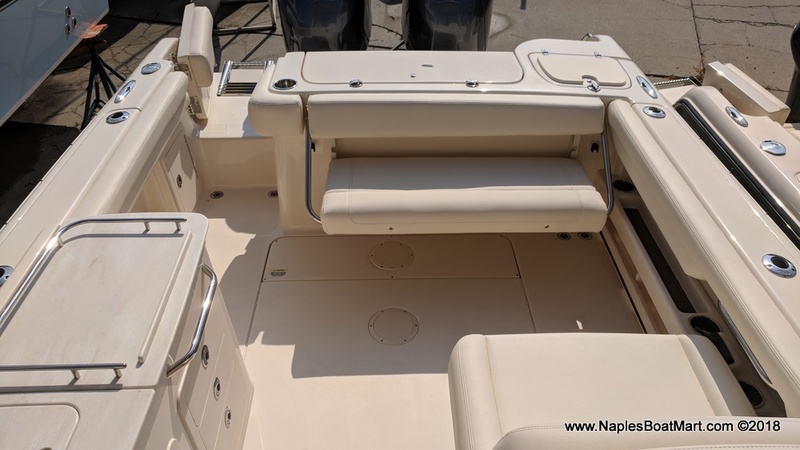 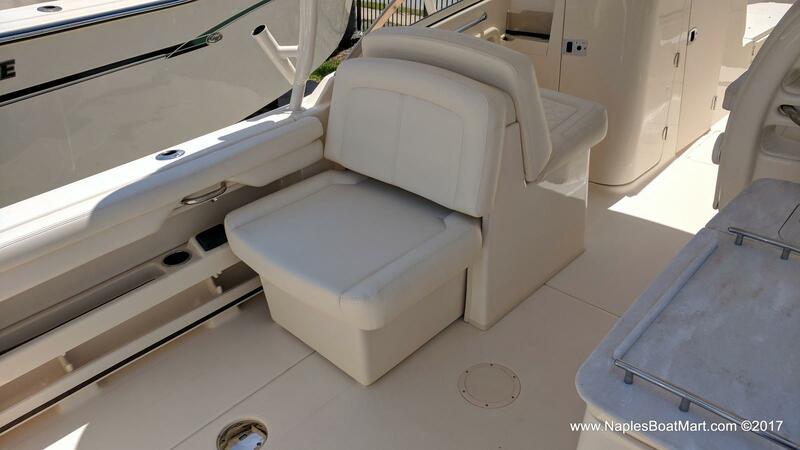 If the fishing action heats up, fold away the seating to open up a large rear cockpit complete with insulated fish box, livewell, rod holders, and lots of room. 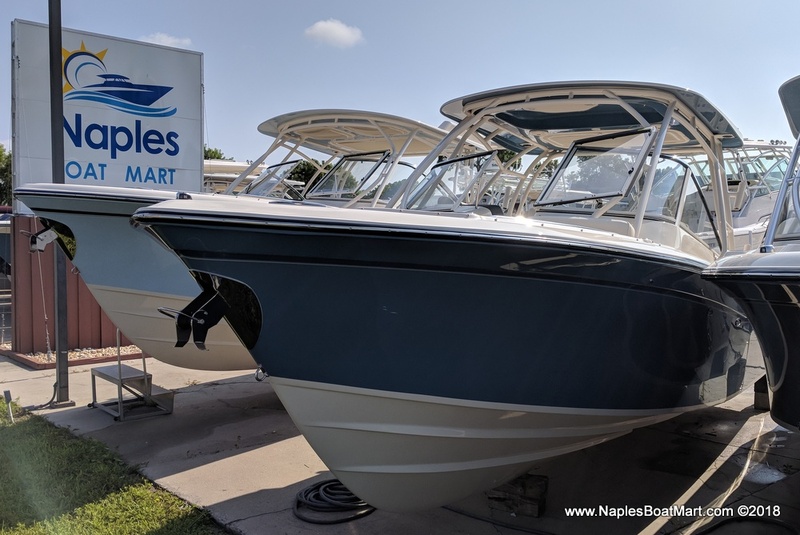 The 275’s deep hull shape jumps on plane quickly with minimal bow rise, cuts through big seas, and glides efficiently through the water – requiring less horsepower and fuel consumption than many competitors. 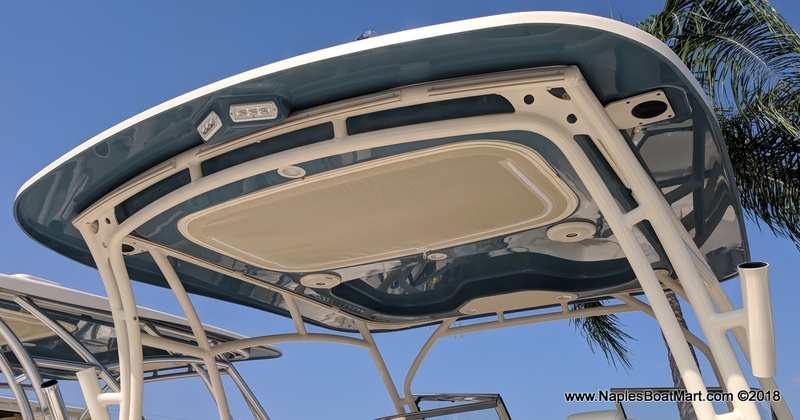 Upright level foam floatation adds peace-of-mind, and with an 8’6” beam, you can easily trailer or ship this boat anywhere it needs to go. 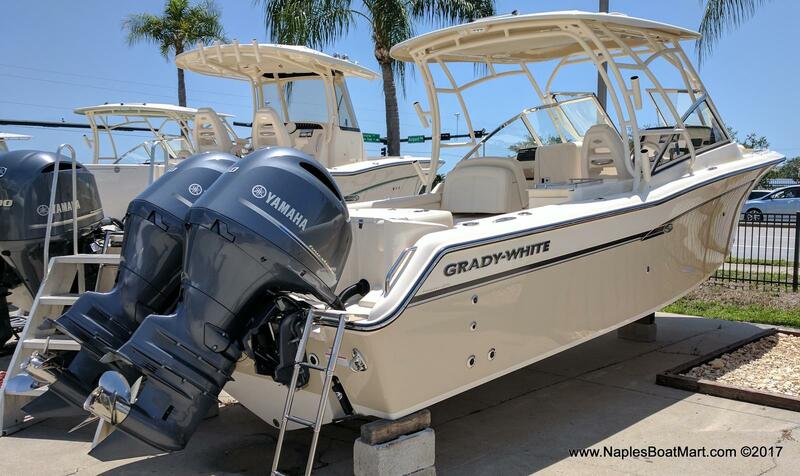 Grady White sets the standard for excellence! 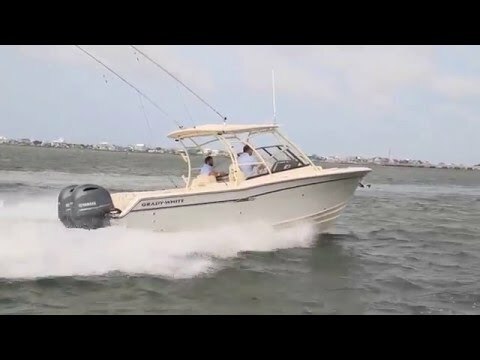 We have owned Boston Whalers in the past, and they are great boats for sure. 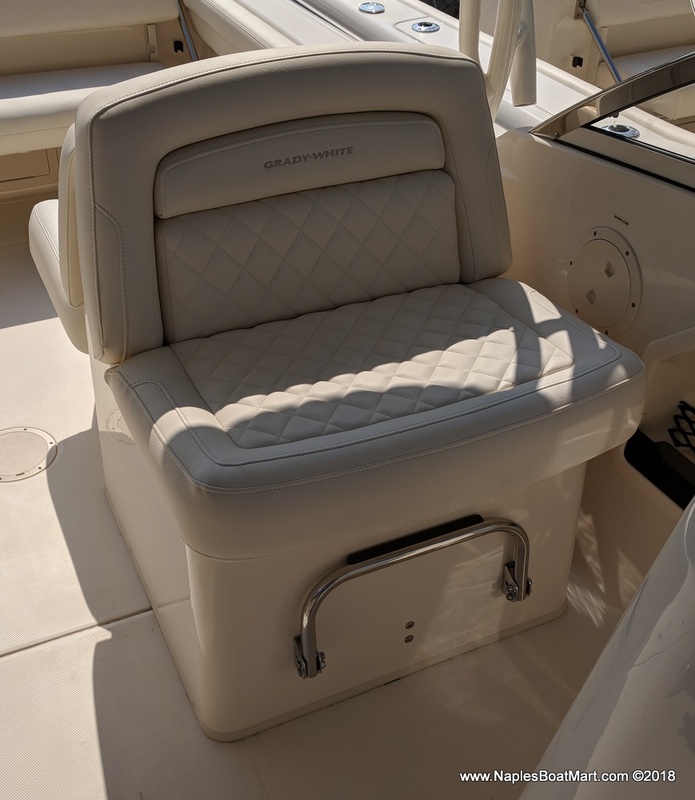 But the Grady brings boating to the next level. 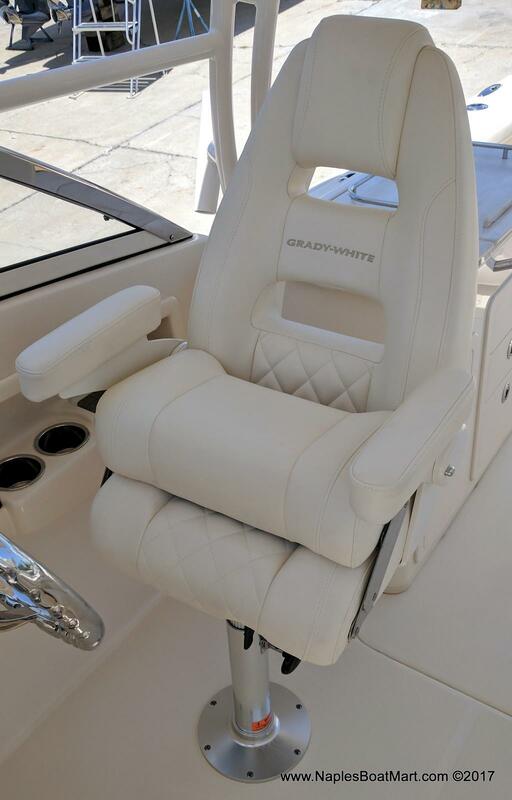 Whether you enjoy fishing, lounging, or water sports, the Grady White offers you everything you need and so much more! 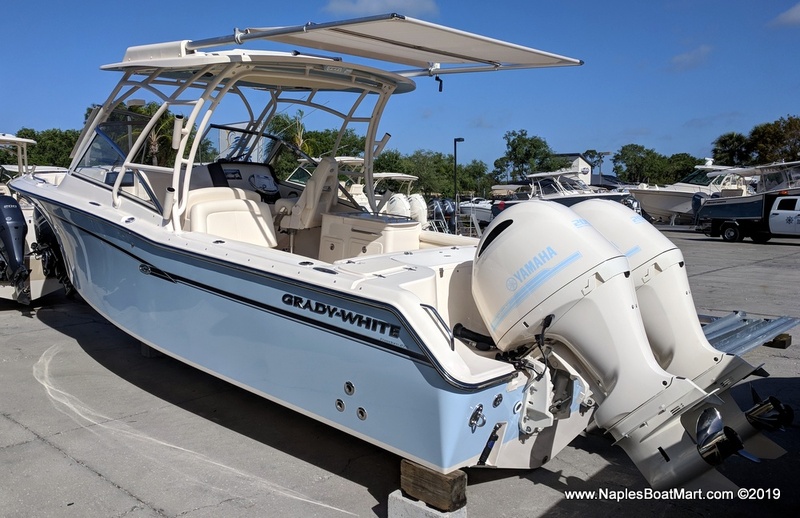 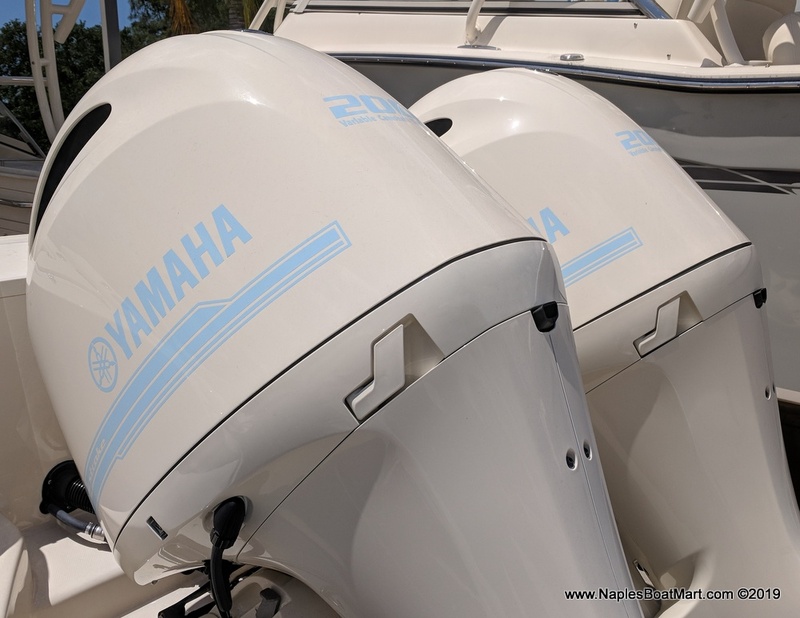 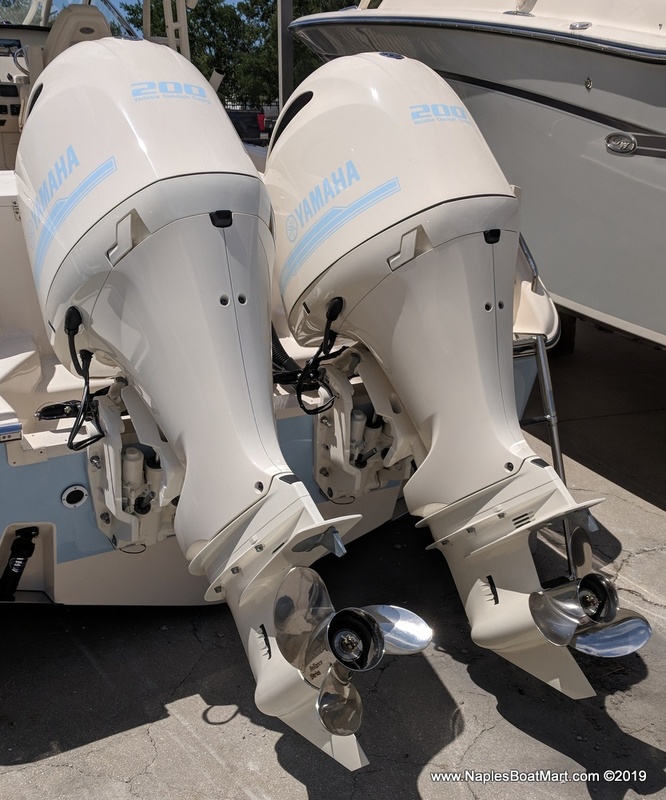 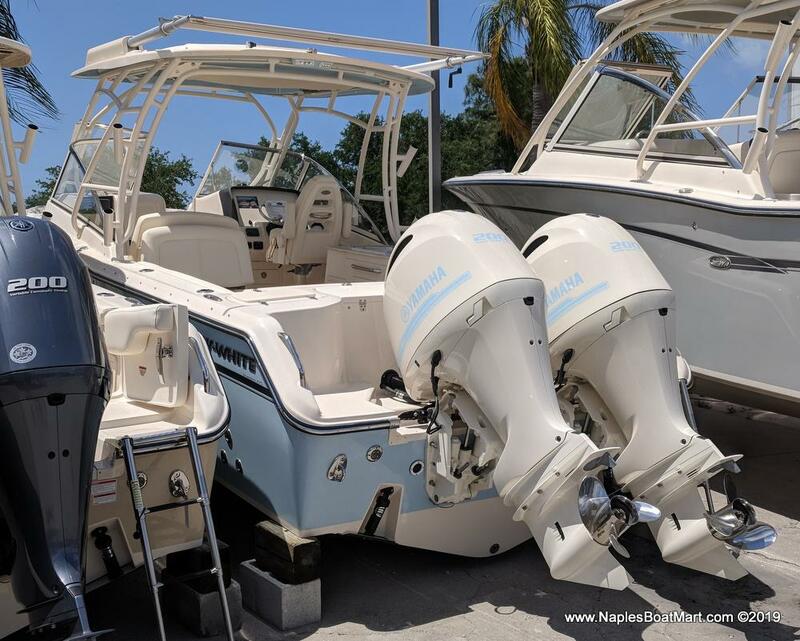 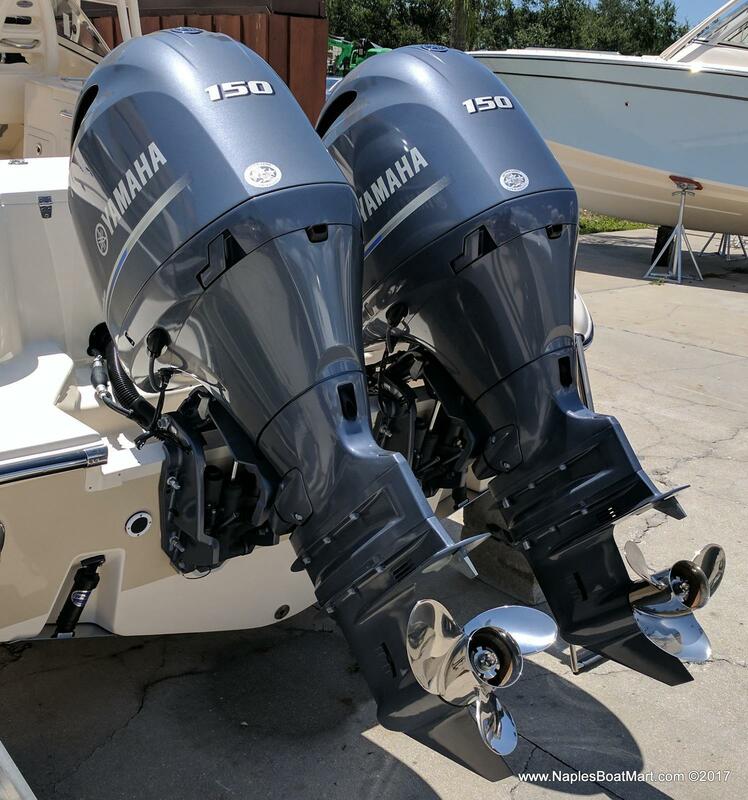 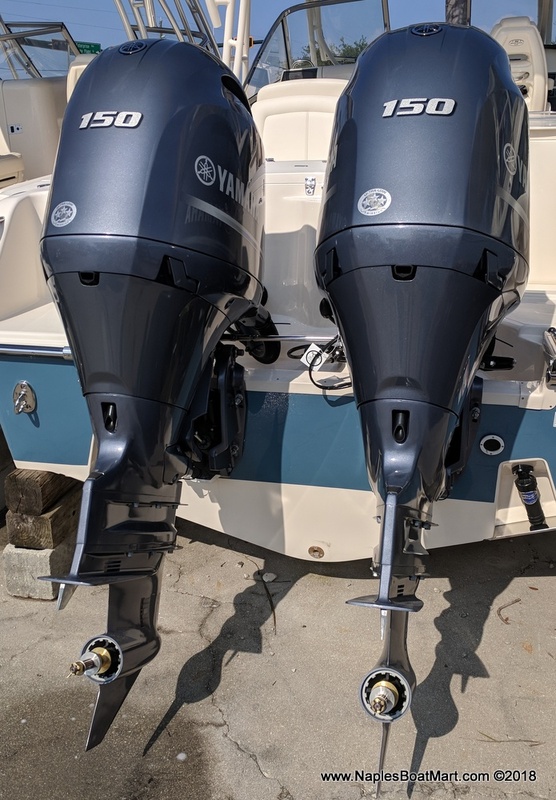 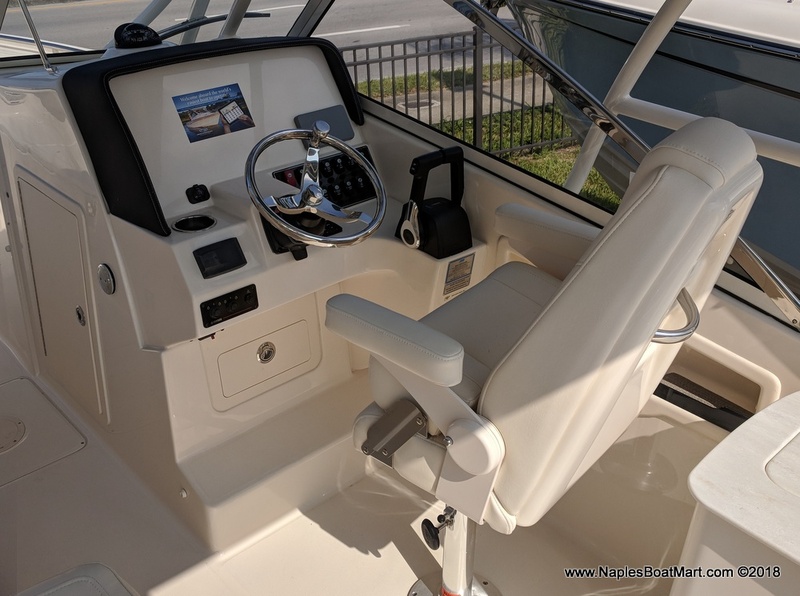 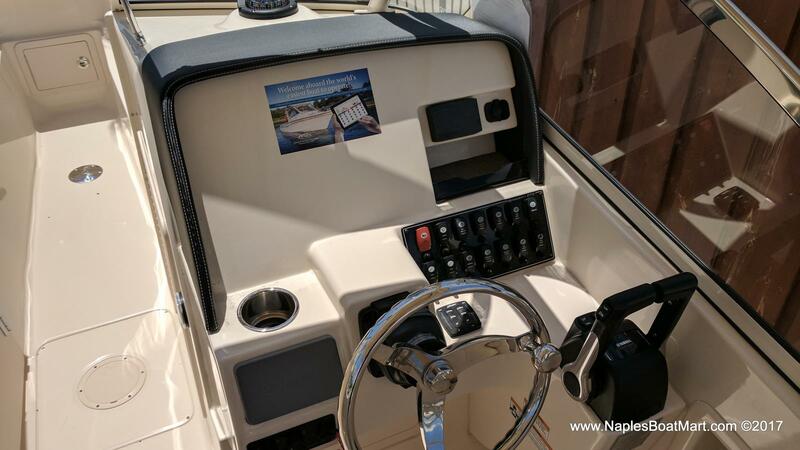 A remarkably high quality boat that is powered exclusively by Yamaha outboard engines, Grady White offers the hull design, options, and size that will suit your needs and fit your budget!